There is a lot of buzz right now in to rapidly going technologies, drones and 3D printing. Both industries have taken large bounds forward in the past few years. Drones are now used from everything to real estate all the way to agriculture. 3D printing has also seen a massive jump in the past few years. With companies popping up every other week with something 3D printed. 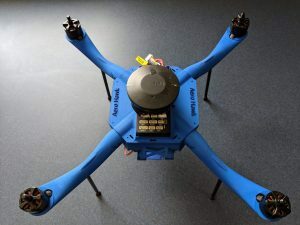 We were approached by Aero Hawk to print their quadcopter. Aero Hawk is a small drone company based in a farming community in Aberdeen Idaho. They have a beautiful blue drone with a unique design. 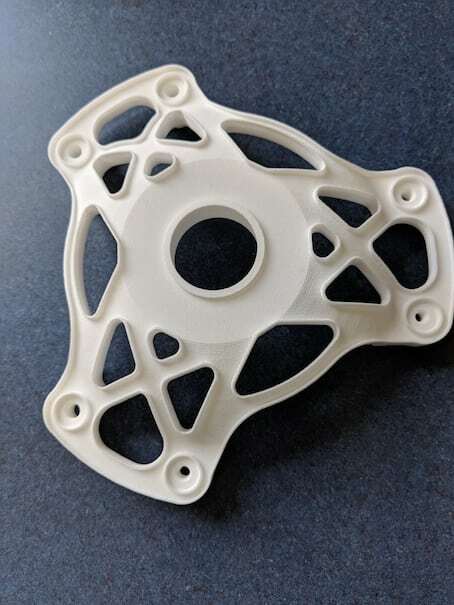 A 3D printed drone allowed for stronger yet lighter parts then injection molding. The two very advanced technologies meet in special ways. We have an EOS P 396 SLS nylon production machine that creates parts with high quality and very accurate. This Selective Laser Sintering printer can print parts up to 2 feet tall in a very durable plastic. Durability is the key to AeroHawk and JawsTec’s relationship. Drones are tough things to always keep in the air, so they need to be strong enough to survive hard landings. That is where SLS 3D printing has come in. 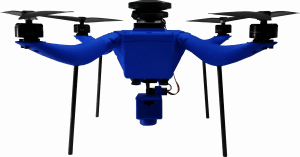 Because flight time is so important, light weight is a key factor, 3D printing allows AeroHawk to lighten their drone up with internal supports not available with injection molding. The unique design was creating for efficiency and looks. This nylon plastic is lighter than carbon fiber and doesn’t mess with the radio signals used to fly the drone. 3D printing has allowed AeroHawk to boast an impressive 30+ minute flight time.